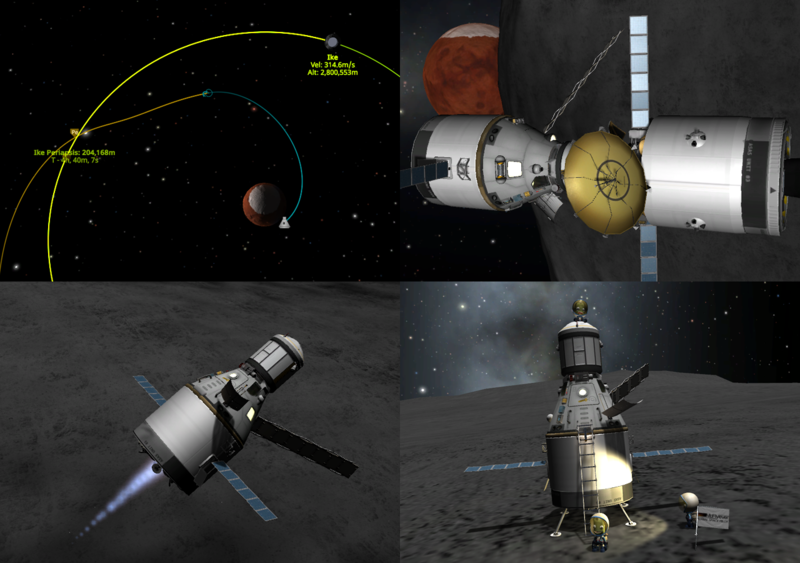 Reach an Low Kerbin Orbit (~ 75 Km) and decouple the Lander. 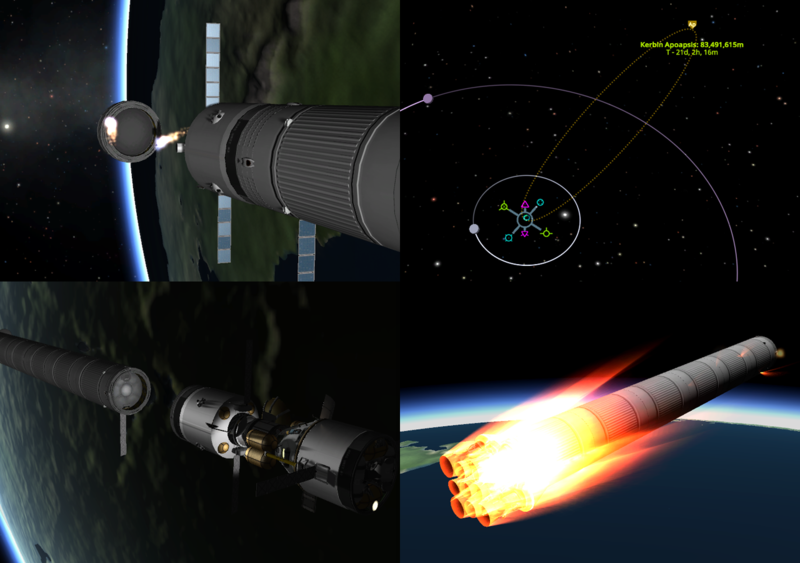 Turn the Rocket in retrograde Direction and decouple the Decoupler Connection to deorbiting it. 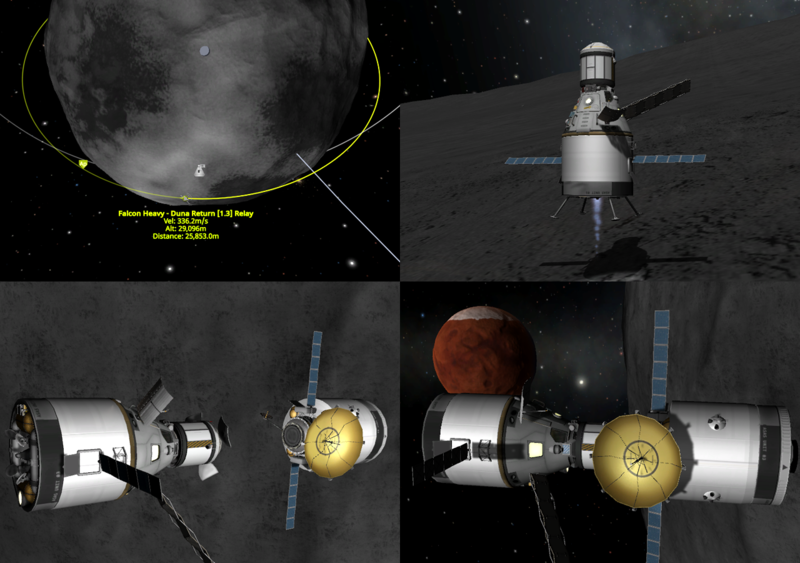 Re-dock the Lander to Return Modul. Thanks for watching and download! I wish you an successfully flight! 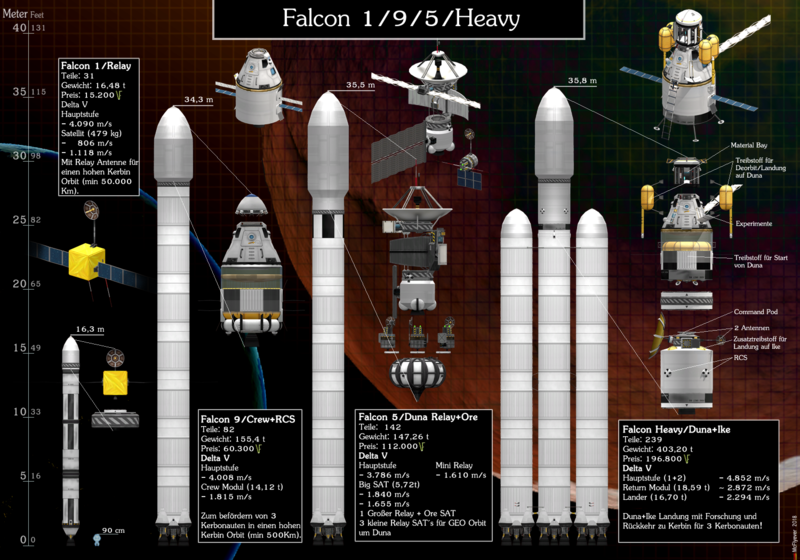 Note, this is a non-reuseable Version of Falcon Heavy! 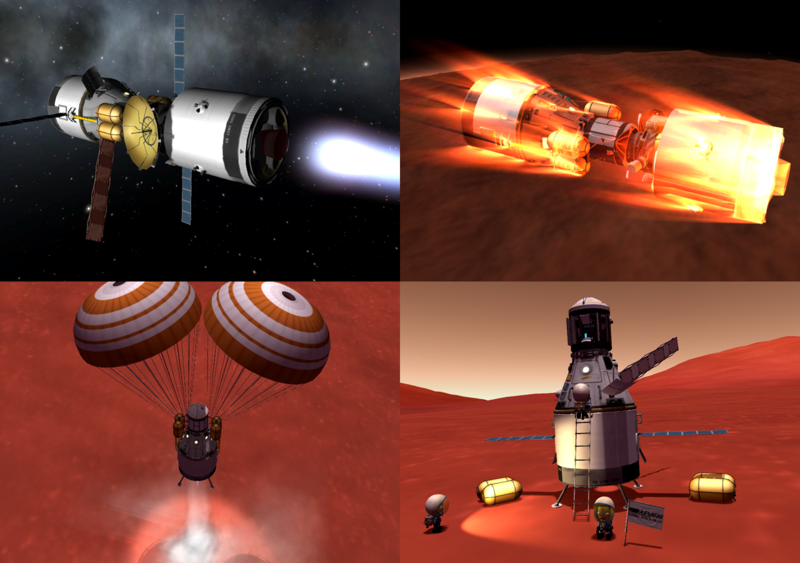 The Fuel for this is needed for the big Duna Trip and also it enables to use the 2,5m parts. 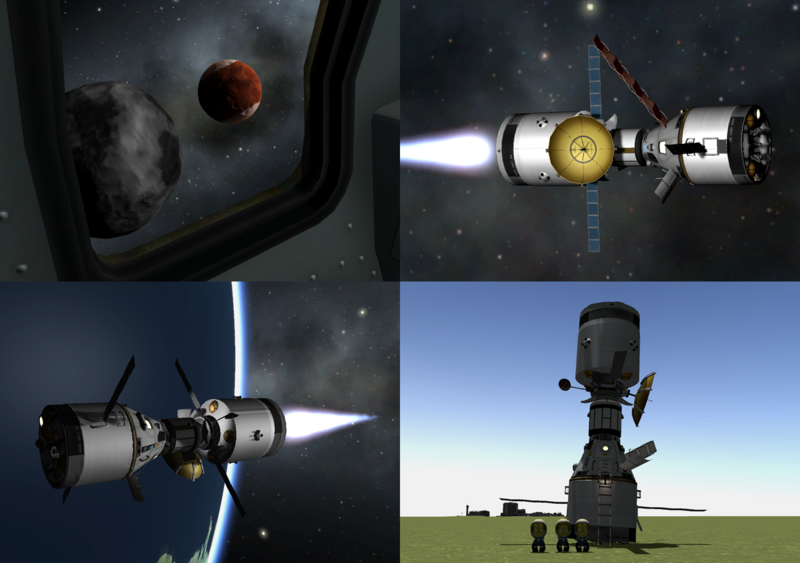 Cause that, i think it´s better to collect Science and accomplish Missions of two Bodys, than rescue the relative cheap Boosters. You´ have tryed to land the booster? Sry, this is not foreseen, at my model. 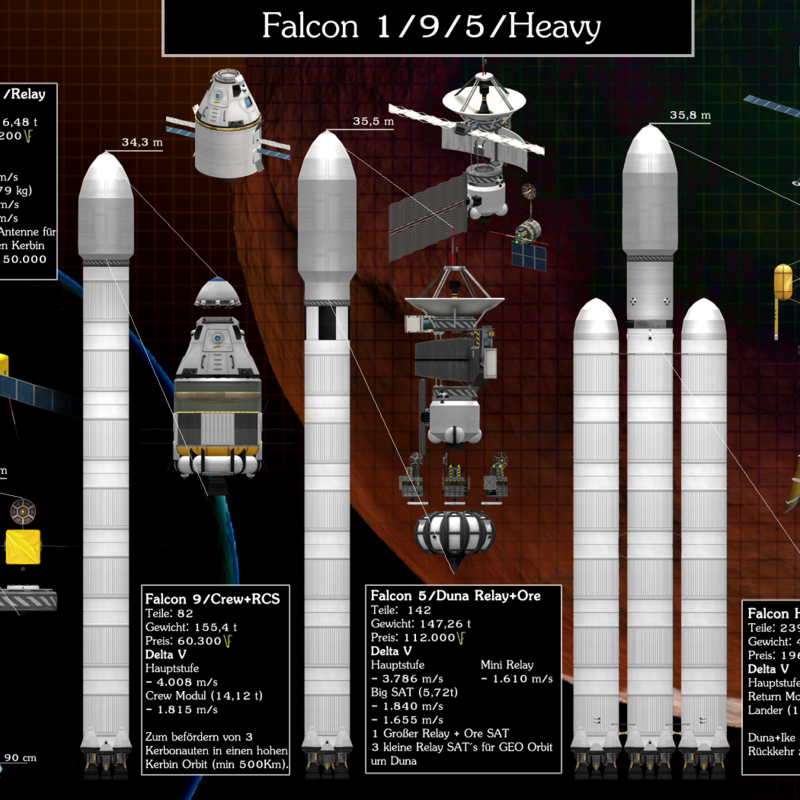 This is really good tbh, altough its very difficult to land the boosters. 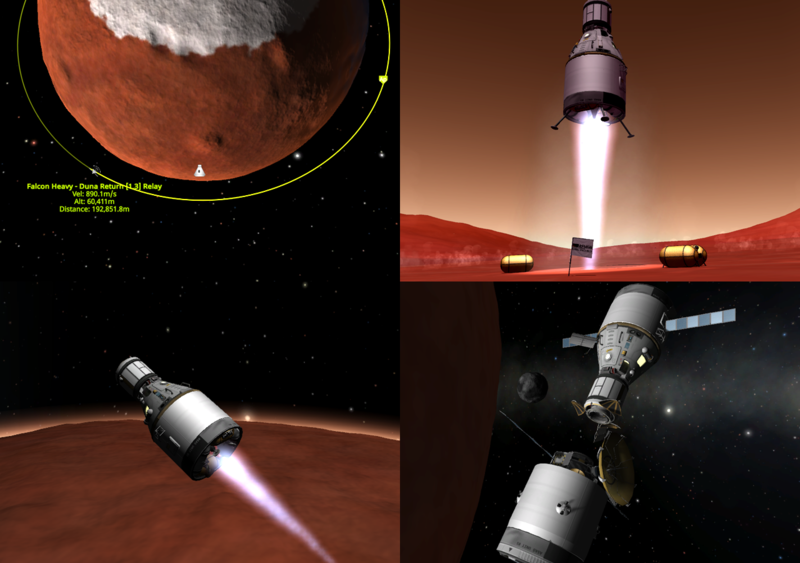 And i havent tested it to duna, only the mün,b but all toogheter Amazing!